As a Neal’s Yard Remedies Organic Independent Consultant I love sharing our products with customers. And since our products are based on essential oils, I love doing essential oil workshops. I recently hosted my first Make and Take Lotion Workshop. It was a fun workshop full of education, tips, conversation, and fabulous essential oils. Here is how it went. I prepped the following materials on a table covered with a blue table cloth. Essential Oils covered in painters tape with numbers on the front and lid. I wanted the participants to be able to smell the essential oils without thinking about the word or any preconceived notions. I made sure to choose a mix of essential oils with top, mid, and base notes. NYR Products to showcase how they are used in essential oils. 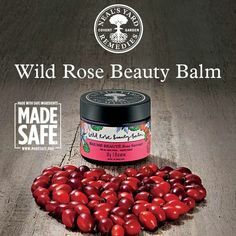 I had the Geranium & Orange Shower Gel, Wild Rose Beauty Balm, Frankincense Intense Cream, Beauty Sleep Body Butter and several Remedies to Roll all out. Some of my favorite NYR signs. I didn’t do any refreshments other than water, because I wanted to really focus on the smells of the essential oils. I didn’t want any other smells getting in the way. Once the guests got there this was the order of events. Personal Intro. I talked a little about how I learned of NYR Organic and how long I have been a consultant. I did an abbreviated version of the Starter Kit Workshop Flip Chart (found in our back office) because I love to show the beautiful pictures our glorious products and some of the stories behind them. I did the entire Aromatherapy Flip Chart Presentation*. I love that it covers basics of aromatherapy, the ways to use essential oils, safety guidelines, and of course, the essential oil information. Next, I made sure each guest had a pen, clipboard (or hard surface), and the Aroma Balance Form* and we started the scent discovery process. I had covered each label with blue painter’s tape. Pretty, right? But it got the job done. Now each bottle is just a number and a smell. I passed around each number and had the guests write down any perceptions, if they liked it or not, and maybe a guess for what it is. I eventually told them the corresponding names for the essential oils and whether they were considered a top, middle, or base note. This is important for a well-balanced scent. For the lotions, I had each guest measure out about 2 generous tablespoons of our Professional Range Face and Body Lotion* into a small glass bowl. I gave them each a wooden spatula and some guidelines on balancing their scent. They might want to choose based on scent. Or choose based on performance: relaxing, energizing, etc. Ideally choose 3 oils: a top note, mid note, and base note. Put 1 drop of each and mix. Add more to preference but likely will want more top note drops and less base notes, with the mid notes falling somewhere in the middle. With each drop, documents it so you can recreate it. 15 total drops is a good dilution amount. Once the aroma was perfected, the guests used funnels to get the lotion into the bottle. I used these bottles and had also printed out these 1.5″ square labels for that extra touch. Then we had a little time to look at catalogs, place orders, and chat. *These documents and items are available in the back office for all NYR Organic Independent Consultants. If you need help finding them, please contact me or your upline. What? You aren’t an NYR Organic consultant yet? Read about how to join here! This was such a fun and informational event. Please post any questions or comments below and as always come and join Alicia’s Organic VIPs to keep in touch!